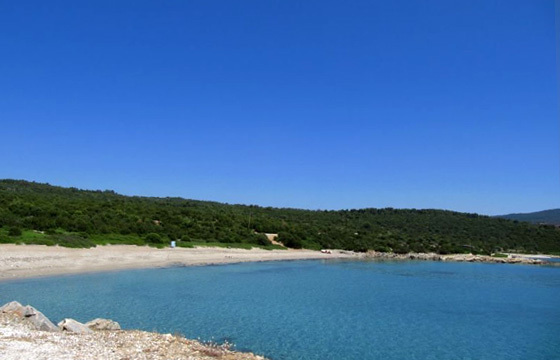 Named after the homonymous chapel at the edge of the beach, Kyra Panagia (i.e. Virgin Mary) is a dazzling beach with white sand and shallow waters, ideal for children. However, the water here is very cold, a fact that makes this beach ideal for a refreshing swim when the temperature is very high (usually in July). Right behind the beach of Kyra Panagia, the hills are covered with pine trees and enhance the area’s natural beauty.